What is Time New Bank? We are living in the time where new digital currencies are coming almost every day and each of them is trying to offer something unique. Time New Bank cryptocurrency is not different by any means. We present to you a Time New Bank or in short TNB, a cryptographic digital currency issued by M.I.T, which enables transactions on M.I.T time commodity exchange and M.I.T time asset exchange. To put it in simple terms, it enables you to trade time as commodity. M.I.T. stands for Miao’A International Timechain and they are dedicated to develop a precision time-value based transmission network. They believe that each individual has the time value for money and that the value is determined by how much he or she is needed by others. According to M.I.T., time, with its commercial value, can be traded as commodities. It is a concept already been accepted in human society. From Lunch with Warren Buffet, to the hourly wages charged by attorneys, you have witnessed various examples of how time-value of individuals can be materialized. Business models are evolved along dimensions in space and time that human beings occupy. By exploring the nature of time-related products, you could see that the value of time commodities is mostly generated from the value radiation effects of the time exporters, i.e. their capacity to serve, or in others words, their monetization ability. After a detailed research and analysis, the team developed M.I.T., a precision time-value transmission platform based on blockchain technology, to organize a comprehensive network comprised of primary, secondary and third market for time commodity exchange. The goal is to fully express the value of time commodities based on how time exporters are recognized and demanded via scientific analytical model by leveraging its decentralized value transmission platform. In commodity value transmission process, TNB will be adopted as the settlement currency to accurately tell both the current and future value of the time commodities. On the other side, time demanders can use the M.I.T. platform to buy the exact time commodity from the exact time exporter. Upon the completion of the purchase, the buyer can transfer it to the secondary market. Also investors can invest on commodities through the third market. By doing so, multi levels of demand are satisfied. Time exporters – refer to the providers of time commodities, i.e. the party who will ultimately fulfill the commitment to spend their time during a specific period of time to provide service for time commodities buyers. Celebrities, entrepreneurs, lawyers, physicians, teachers and industry experts can fit into this category. 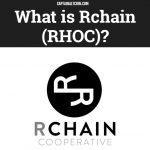 Based on the how much they are demanded, different time allocations, previous credit ratings, quality of commitment fulfillment and so on, the platform will score the time exports and the time commodities they provide time of goods output and make categorization. The rating system will promote benign value of the platform to ensure healthy and ecological development. Time demanders – refer to the demanders and buyers of the time commodities. From the motivation of time consumption to solve their problems and fulfill their needs, time demanders will purchase time commodities and consumer them in exchange of corresponding service from time exporters. Time investors – refer to the crowds whose primarily focus is on the asset side of the time commodities. From the motivation of acquiring economic benefits through investments, time investors purchase time commodities from the primary market and monetize them on the secondary and third markets in order to receive price premium. Time asset operators – refer to companies and partnerships that are mutually-benefits to the platform’s ecosystem. Time asset operators bring in high quality time assets and introduce time exports trendy on the market, expand to the large and highly active time demander base, connect prominent time investors. Their participation will boost the construction and positively promote the sustainable development of the platform’s ecosystem. 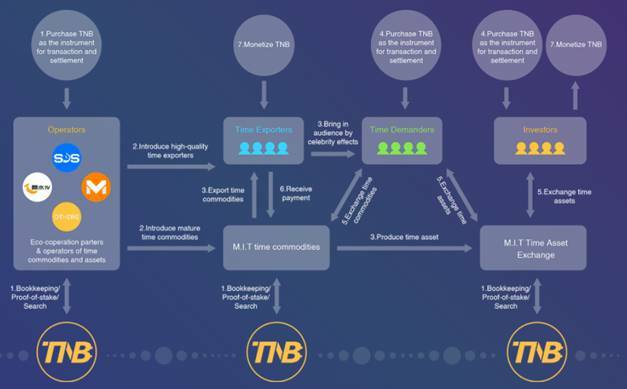 TNB is a digital currency, based on a blockchain technology underlying platform, aiming to establish a time-value transmission network which comprises prominences of decentralization, internationalization, payment flexibility, pricing transparency and strong protection of rights and proof-of-stake. M.I.T. planned to distribute a total of 6,000,000,000 TNB tokens. No more tokens will be minted afterwards. For early-stage investors, TNB serves the purpose of providing project funding. It could also be used to incentivize individuals or organizations that contribute to the M.I.T ecosystem. Moreover, TNB will be able to carry the premium generated self-promotion of time exporters and deliver to the end users. TNB will also be circulated on third party digital currency exchanges. The ICO was held from November 14th to 21st November 2018 and it has raised $8 million. 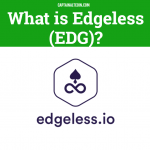 Current price of the token is $0.0481066 with the market capitalization of more than $108 million. Daily trading volume is just above $4.8 million with circulating supply of 2,261,619,182 out of total supply 5,541,877,892 TNB. TNB token reached its all-time high price of $0.315892 on January 9th 2018, rising almost 900 percent since it started trading on the Huobi Pro exchange. At that moment, the market cap was more than $514 million with daily trading volume of more than $146 million. TNB token is an ERC20 token and can be stored on wallets that support ethereum standards such as myetherwallet, Ledger Nano S or Trezor. It is also important to note that the team has successfully formed strategic cooperation with Miao’A, the most trendy decentralized time commodity exchange platform. Miao’A will connect all its core business to M.I.T. ecosystem and TNB will eventually replace Miao’A’s virtual currency on the Miao’A Chinese version. For the ready-to-launch international version (int’l), Miao’A will include TNB as the sole trading currency. Meanwhile, Miao’A’s existing clients and time commodities will all be introduced onto M.I.T time commodity exchange. It means that M.I.T. blockchain technology is integrating into an existing successful application in the China ecosystem. Successful enough, that between 45 and 60 million dollars’ worth of Celebrities time is traded a month. TNB is traded on major exchanges such as Bitfinex, OKEx, Binance, Bibox, coinbene.com, Kex.com, CEX.com, big.ONE and Huobi.pro. According to their web site, once M.I.T platform ecology is formed, the platform will be able to cater more ordinary time exports besides high-value celebrities and entrepreneurs. There will be an overlap between time demanders and exports. As long as an individual’s ability to serve is being recognized, he/ she will be able to monetize his/ her time. M.I.T will thrive to make everyone’s time valuable and realize inclusive self-fulfillment for each individual. By entering this stage, M.I.T could not only serve its cooperative partners and users, but also quickly cultivate user habits of utilizing TNB. The applicability of M.I.T will enable TNB to cover more consumption scenarios and introduce more potential partners to the platform. The demand for TNB will further boost, so will it be for TNB trading price, bring along activeness on secondary market and expedite the enthusiasm for third market.